So another little peek at some of Kaths work and maybe a little reveal of what she'll be demoing for us on Saturday (exciting)! 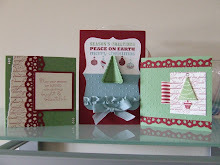 Pop on over to Kath's blog and you'll see all of her gorgeous work! Oh and just as a special treat for you on Saturday there will be 10% off of ALL Hero Arts Stamps including the super duper new ones that are in the back of a truck making their way to Simply Create's door as I type! Oh and for the Jenni Bowlin fans the huge consignment will be with us Tuesday at the latest - woo hoo! Don't forget that Kath is doing a class at Simply Create on a date and time to be revealed on Saturday and you can sign up for this class on Saturday at a special reduced rate! Spaces are limited so don't miss out!